Many of Britain’s top code-breakers and analysts are able to crack complex problems because they suffer from dyslexia, GCHQ has revealed. A spokesman for the Government’s top-secret electronic eavesdropping station in Cheltenham said last night that some of their most talented code-breakers have difficulty in learning to read or interpreting words. But this can actually help them crack codes, as they ‘see’ things those without the disorder do not. GCHQ’s army of code-breakers and code-setters play a critical role in the battle to protect Britain from cyber attacks by other states and criminals, including terrorists. 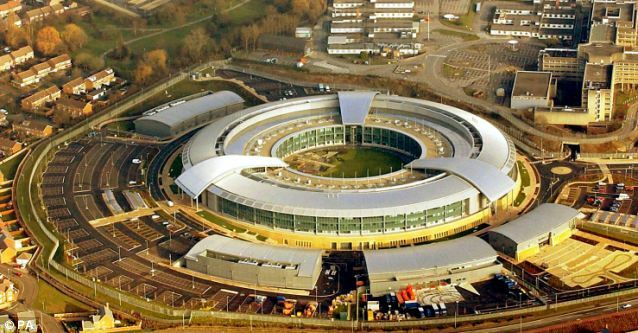 GCHQ recently found itself at the centre of allegations by US whistleblower Edward Snowden that it had access to the online data of British citizens via US spy agencies. Last week MPs on the Commons Intelligence and Security Committee praised steps taken by spy chiefs to harness the skills of dyslexic code-breakers. The threat to the UK from cyber attacks, according to the report, is at its ‘highest level ever’ and is ‘disturbing’ in its scale and complexity. The MPs said the Cheltenham-based agency had set up a Dyslexia and Dyspraxia Support Group, which provides ‘mentoring and practical support to individuals’. Adrian Culley, a cyber expert and former Scotland Yard computer crime detective, said: ‘Dyslexic people have the ability of seeing codes with patterns, repetitions and omissions. Some of the world’s greatest thinkers suffered from dyslexia, including Albert Einstein.